Today I'm going to share with you two BB/foundation cushions which I'm using a lot right now ever since my skin irritation has improved over the last 2 weeks. 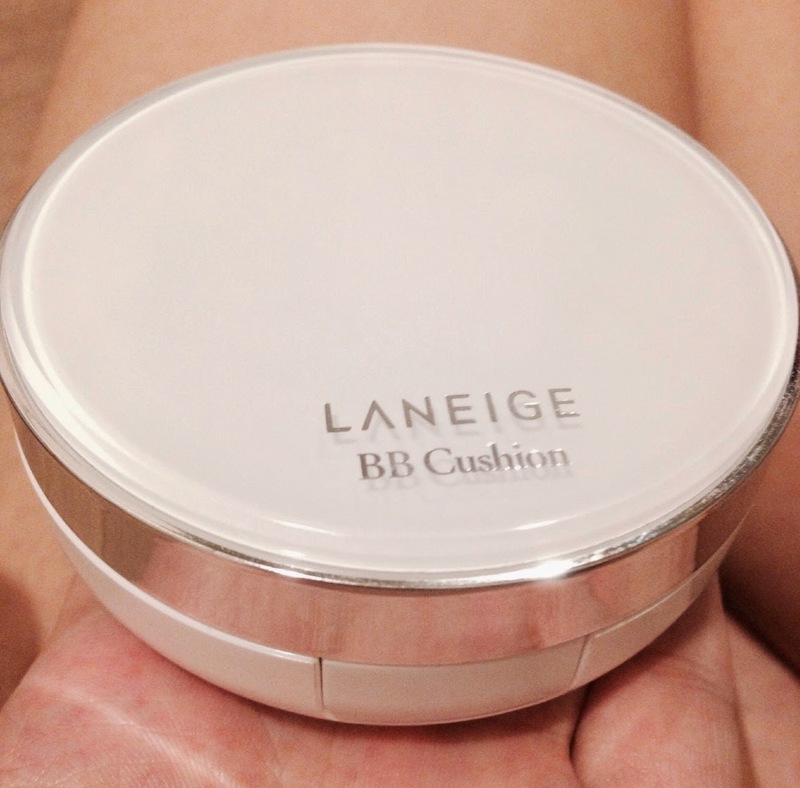 They are the Laneige Snow BB Cushion (shade #21 Natural beige) which is really popular here in Singapore and the Lirikos Marine UV water cushion (Water Vanilla) . I'm really loving this brand Lirikos recently because I've had great results after using their Marine Triple Treatment. I think almost every cosmetic brand in Korea has released their own version of a cushion. The most popular ones seemed to be the IOPE and Hera ones (My review on the IOPE Air Cushion here). I chose a high coverage for Iope Air Cushion while the Laneige and Lirikos Cushions are more to light to medium coverage. I wanted different levels of coverage so that I can use each one depending on the condition of my skin. The Laneige and Lirikos cushions are really similar in terms of their coverage, skincare functions and results. Both provides very light and refreshing textures, moisturising, good UV coverage and cooling to the skin. I love the packaging from Lirikos because it looks like a pretty sea shell which I think really matches its marine deep sea concept. However, the Lirikos version only comes in two shades. I chose the lightest shade in water vanilla which is a good match for my skin tone. The Laneige cushion has a slightly cooler shade while the Lirikos is more towards a warm tone. Hence, I am always mindful to cover up my neck area if I am using the Laneige cushion because my skin tone is more towards the yellow tone and the difference is obvious. Both cushions are very easy to blend with the puff given and because they are so lightweight and moisturising, touching up is hassle free and I have no worries of my makeup looking cakey. As for the finish, I think the Laneige one can be a little too dewy and glowy which can make it look oily to me. 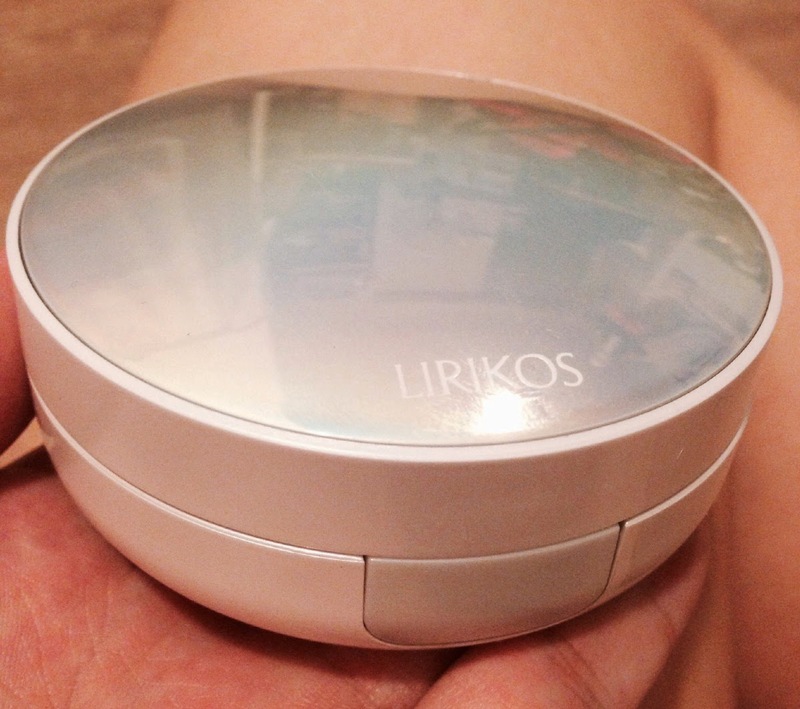 The Lirikos cushion also provides a dewy finish but I think it is more natural and balanced. In terms of pricing, the Lirikos one is actually quite affordable. I purchased mine from Gmarket which costs about $45 with shipping. It comes with one refill. The Laneige one is slightly more expensive from this seller at $39 excluding shipping. This is only a guide as I only want to link those sellers whom I've purchased from them before to ensure that they are reliable. With shipping it might come up to about $50? Would still be slightly cheaper as compared to the retail price of $59. Thanks for the review. Which do you like best among Laneige, IOPE and Lirikos cushions and why? Hi there thanks :) If I have to pick one , it would be the Lirikos one. I think mainly because I like the natural dewy finish and the coverage is buildable without looking cakey ;) Really convenient and awesome product. Hi! May I ask if the Lirikos refill is compatible with Laneige/IOPE's cases?